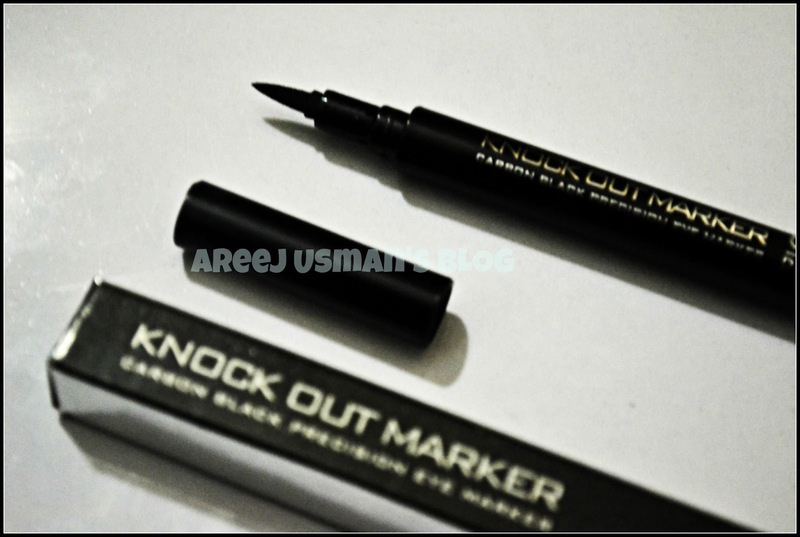 Home Fashion	Review & Look:Color Studio Professional Knock Out Marker & Cat Eye Look! Review & Look:Color Studio Professional Knock Out Marker & Cat Eye Look! Thanks to ALLAH ALMIGHTY I have found some free time in my busy days and nights to give to blogging. I have really been anxious to work on my blog.I hope this continues. Okay so I am here with a review today.Though I havent been blogging lately but that doesnt mean I havent gone shopping too! Yes I have bought loads of stuff and want to review them. Starting from this product that I bought some two weeks ago & really like it. 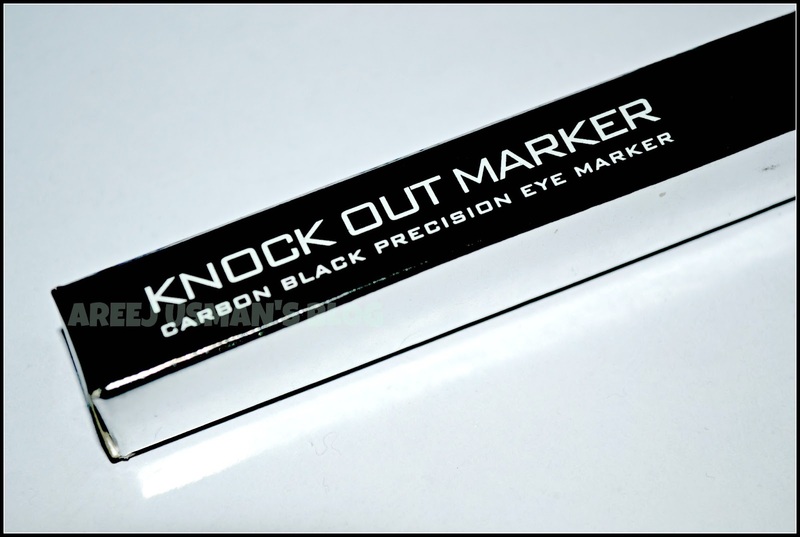 Its the Color Studio Professional Knock Out Marker! This product caught my eye while roaming around the cosmetic store.I picked it up at once to take home because I found the price very reasonable for such a product.I have added this product into my daily routine.I am really used to wearing gel eye liner lately & not leaving my home until I have some kinda liner on my eyes.So these days I am going out with Knock out marker on my eye lids & I am loving it.The first reason that I like this product is the precision which with this marker applies.I am sure someone with a very shaky hand can also apply it very well.It is really easy to work out. As the cat eye look has been IN for quite some time so I gave the look a try with this marker.Believe me since then I havent used my gel eyeliner in my everyday routine to do cat eyes.With the exception of family dinners,wedding or parties I am going to use for that purpose in the near future too.The tip is neither too hard nor too soft and glides smoothly on the eyelid.The cap also holds on tightly to the marker so you can just throw it into your bag & move on.It wont come of & create a mess. Now one thing that I dont like about it is its staying power.It doesnt stay very long like the best selling gel eyeliners these days.It slowly vanishes away after 3-4 hours from my oily eyelids.It doesn’t smudge easily but when I come home I notice a black line on my upper lids. I got this marker for Rs.550 from D.Watson Blue Area & I think its quite reasonably priced.It does replace my expensive gel eye liner to quite some extent. You can get yours if you want to try doing easy cat eyes or kohl lined eyes.This product is a good product for daily use.Its also not very heavy on the pocket. 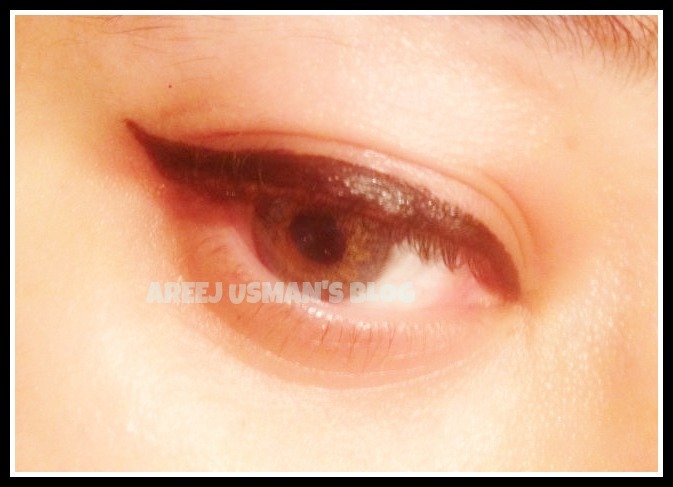 I am sharing my Cat eye look that I did in a hurry with this marker. My Baby’s 1ST Birthday Celebrations!! 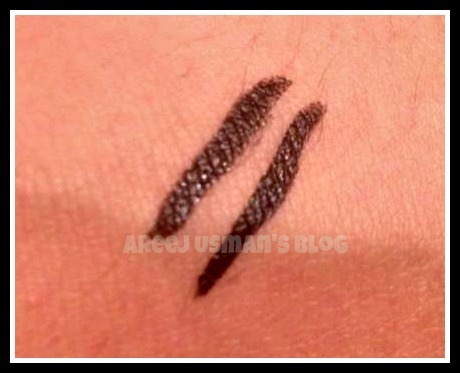 Ive always been looking for nice marker liners, none can stay kn my oily eyelids for long.. Your cat eye turned out really nice 🙂 Thanx for sharing.